Varaha is the third avatar of Lord Vishnu with the face of a boar and body of a man. The exhibit is that of Lord Varaha with Goddess Lakshmi. The figure is seated on a pedestal with the right leg down and the left resting upon the seat. Here, Goddess Lakshmi sits on the left leg of Lord Varaha. 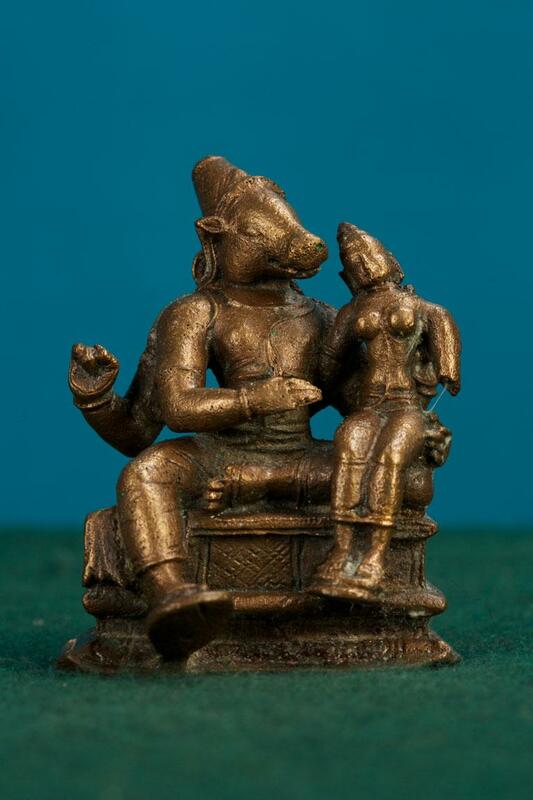 Varaha is four handed and the Goddess is two handed. Varaha is facing Lakshmi and is in alingana pose. The front left hand supports Devi while the right one is about to be thrown around her.